You may have a few questions about ordering a casket directly from us, so here are the answers to some common questions. If you can’t find the answer you’re looking for, please call us toll free anytime at 855-261-6928.
Who is Affordable Casket Company? Affordable Casket Company is the leading provider of burial and cremation caskets that are sold directly to the public. Place your order with us over the phone or through our website, and we’ll ship your chosen casket to the funeral home you’re working with, usually within 24-48 hours. We serve all of Washington State and Northern Oregon. Why should I buy a casket from Affordable Casket Company? You can browse our wide range of caskets in the comfort of your own home and without a funeral director looking over your shoulder. You can buy from us exactly the same caskets that are sold in funeral homes. Other casket sellers cannot offer this service. You don’t have to make an appointment with us. Simply go online or call us when it’s convenient for you. That’s day or night. You can choose the casket that meets your budget and style. You won’t be pressured into buying a more expensive one. You can take full advantage of our competitive prices because we don’t have to cover a funeral home’s overhead and we cut out the middleman. This will save you thousands of dollars. We offer free delivery to the funeral home you are working with, and we are just as fast as any funeral home. You can call us anytime if you have any questions about our range or our ordering and shipping process. Our respectful and courteous staff are on hand to help 24 hours a day. 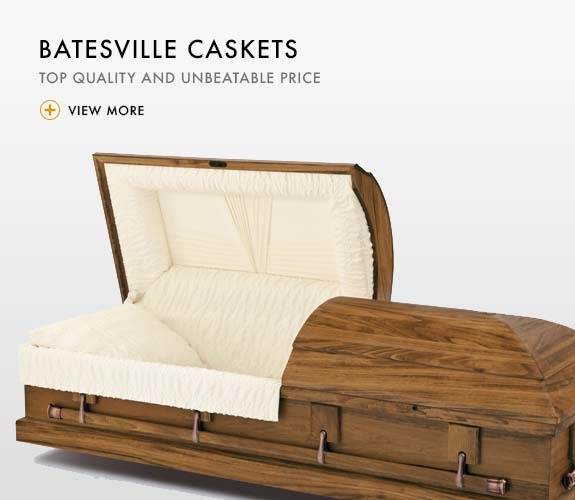 Why are our caskets so much cheaper than those of a funeral home? Sad to say, funeral homes often mark caskets up by four to six times their actual cost. Why so much? Partly because they have a huge overhead to cover, and partly because many mourners believe they have to buy the casket from the funeral home. Mourners don’t realize they can go online and order their own casket. What’s more, there are three large conglomerates now controlling more and more of the funeral business in the United States, so the industry lacks healthy price competition. It’s a situation that invites pricing abuses, and it’s why the Federal Trade Commission passed the Funeral Law in 1984. Will my funeral home accept a casket that I buy from you? Yes. It is against federal law for a funeral home to refuse a casket purchased elsewhere. Refusal to do so results in a fine of up to $16,000 per incident to the funeral establishment and may lead to the suspension of their license to operate a funeral business. We can usually deliver the casket to the funeral home within 24-48 hours of you placing the order. This represents the exact same amount of time it takes for a funeral home to have the casket delivered themselves. We accept Visa, MasterCard, Discover, American Express, cashier’s check, money orders and a wire transfer from Western Union. Will my funeral home charge me a special handling fee? No. It is illegal for a funeral establishment to charge a handling fee if you wish to use a family-built casket or purchase one from someplace other than the funeral home. Put simply, a funeral home is not like a restaurant. It can’t charge you a “corkage fee” for bringing your own casket. What if the funeral home offers to match your casket price? This happens frequently, but it’s not fair on you, and it’s not good for our company or the industry. When a funeral director “matches” or “beats” our price by artificially reducing theirs, they do it because we exist. If they are successful in this practice, we will eventually cease to exist. If that happens there are no more “deals” at the funeral home, only the price they want to charge. Help us to help you. Ask the funeral director specific questions and get a clear explanation of their pricing of merchandise and services. Be careful of the funeral director who tells you to get the best price and they will match it. They will probably make up the loss by shifting hidden costs to other services. If you are not satisfied, ask us. Should I mention to the funeral home that I will be buying the casket from you? Not at first because they will try to convince you not to buy elsewhere or they will inflate their service charges to compensate for the lost casket sale. We will contact any funeral home you designate and make that initial contact for you to protect your rights. The Funeral Rule, enforced by the Federal Trade Commission (FTC), makes it easier for you to choose only those goods and services you want or need and to pay for only those you select. According to the “Funeral Rule”, you can find out the cost of individual items whether you shop by telephone or in person. If you ask about funeral arrangements, funeral homes must give you a written price list of available goods and services (General Price List or GPL). Keep in mind that, when you want to buy a casket, the funeral provider must give you a list that describes all available caskets and their prices. to charge you a fee for using such a product.” There is a fine of up to $16,000 per occurrence for violating this rule. For more information on this rule click here to visit the FTC website. What are my choices as a consumer? No matter what your funeral requirements are, you are entitled to a choice. There is no such thing as a “traditional” funeral. Your thoughts and wishes are what are important. Rather than spending money on what the funeral home suggests is “normal” or “what most people do”, take charge of your arrangements. Have the funeral and the casket you want. A casket and a coffin serve the same purpose. Their only difference is in shape. A casket has four sides, and a coffin has six sides and it’s tapered at the head and foot and wide at the shoulders. 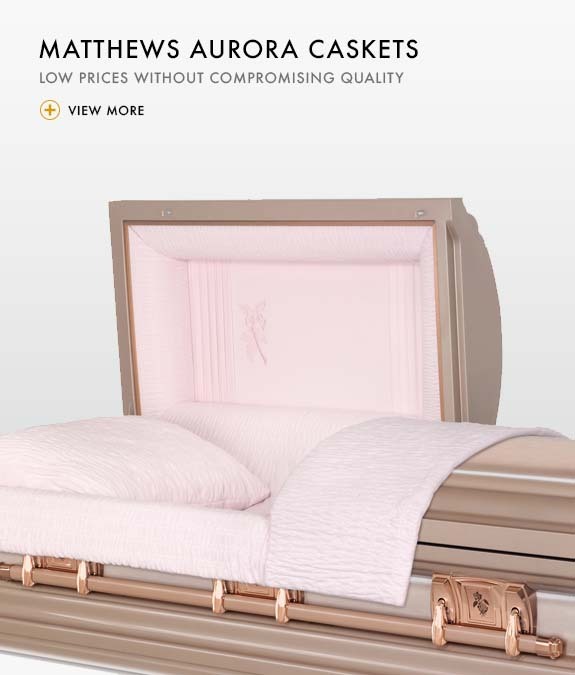 As our name suggests, Affordable Casket Company sells only caskets. What’s the difference between a metal and a wood casket? A metal casket has a rubber gasket inserted into the casket’s shell, which enables the casket’s lid to be sealed. This prevents outside elements from entering the casket, although it does not prevent or slow down the body’s natural process of decomposition. Wood caskets do not have gaskets. What’s the difference between an 18-gauge steel and 20-gauge steel casket? An 18-gauge steel casket is stronger and thicker than a 20-gauge steel casket. You’ll find most quality appliances in your home are made of 18-gauge steel. The minimum thickness for a casket is 20-gauge steel. What choices do I have regarding other casket features? Casket interiors come in a range of colors and material. The two most common materials are velvet and crepe. caskets: Classical Urn, Rounded Corner and Square Corner. Exterior finish treatments can be applied to both metal and wood caskets, from painted brushed metal finishes to highly polished piano wood finishes.